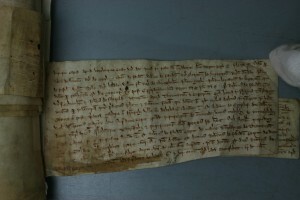 At the end of December 1308 King Edward II’s treasurer sent out writs to all the sheriffs in charge of the former Templar estates instructing them to find out what debts had been due to the Templars at Christmas 1307 — that is, just before the Templars in England were arrested — and report back to the Treasury before the end of the Exchequer proceedings of the following Easter. The king was anxious to ensure that outstanding debts were paid to his treasury, not to the Templars or anyone else. The writs and the sheriffs’ responses are preserved in the National Archives of the U.K. at Kew, at E 142/119. 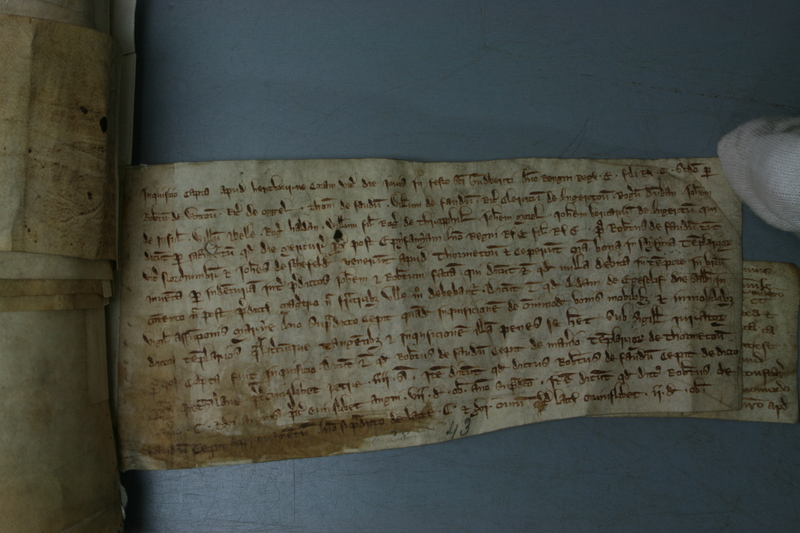 Many of the writs have a simple response written on the back by the sheriff, stating that nothing is owed. Others have an attached document detailing the investigation that took place, with twelve jurors sworn in who either listed the debts due (as they did at Hereford) or stated that nothing was owed (as they did at Bristol). At Hartburn in Northumberland the jurors stated that no one owed anything, but that the previous sheriff had taken wool, lambs, milk and eggs from the manor: see my transcription on Wattpad. E 142/119 does not state whether the sheriff was then forced to account for what he had taken!